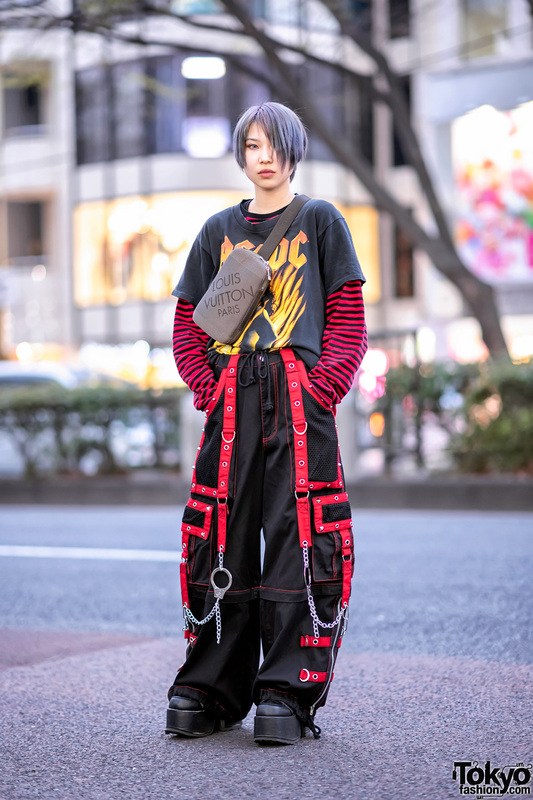 Catching our eye on the Harajuku street is the popular streetwear personality known as TKM®freedom, the 21-year-old graphic and fashion designer who we often feature on our street snaps section. 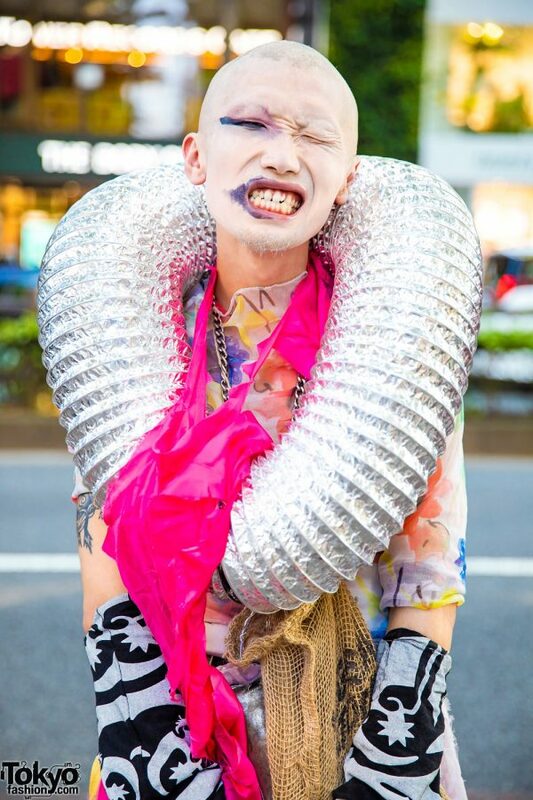 Sporting an eye-catching avant-garde style, TKM – sporting a shaved head and white face makeup – is wearing a white sheer multicolored graphic print top from Madd Lounge, which they paired with a sheer fringed lace skirt worn over a pink vintage Gucci snakeskin pants. 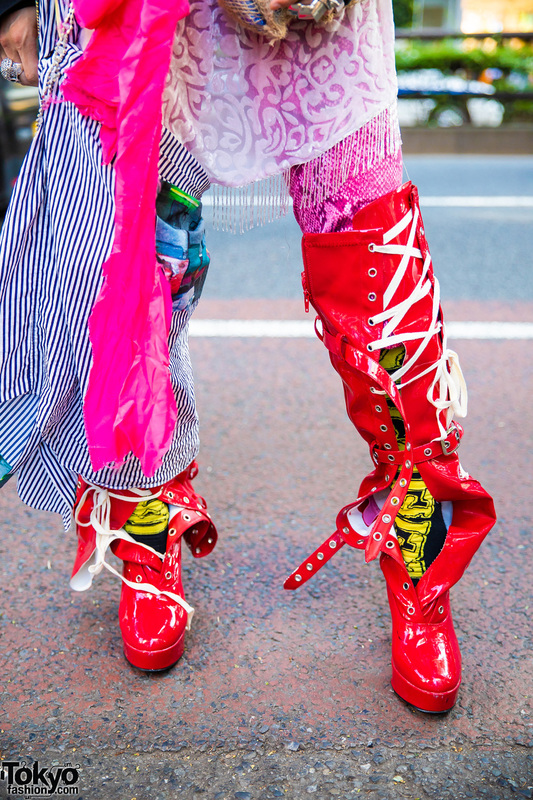 They added black printed socks, slipped into a pair of red patent leather thigh-high lace-up booties from Demonia, and is toting a brown hemp tote bag from Daiso. 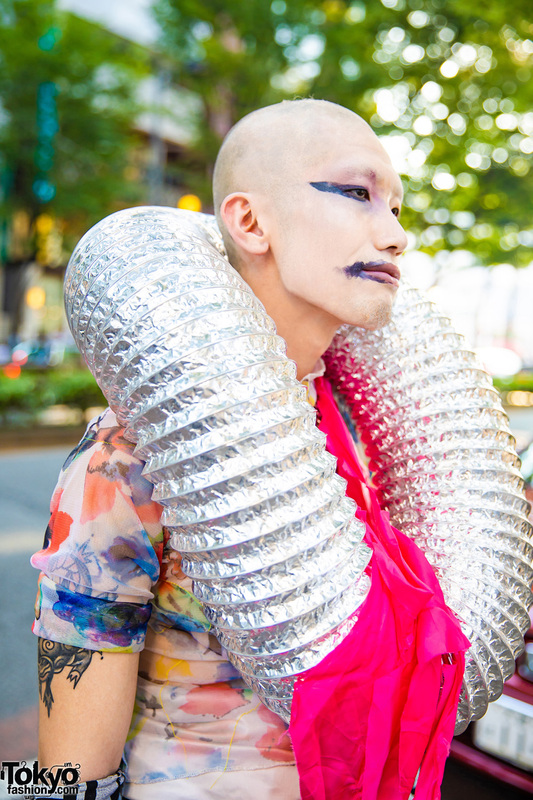 Making a further fashion statement, TKM accessorized their look with a silver tube neckpiece, framing a chain necklace and pink scarf, monochrome print arm warmers, multiple statement knuckle rings, and a striped leg warmer attached to his belt. Some of their accessories are handmade and remake items. Tattoos and black face makeup rounded out TKM’s statement-making style. TKM mentions Michiko London as their fashion favorite, and they like listening to music of 80’s New Romantics. For more of TKM’s statement streetwear looks, follow them on Instagram.